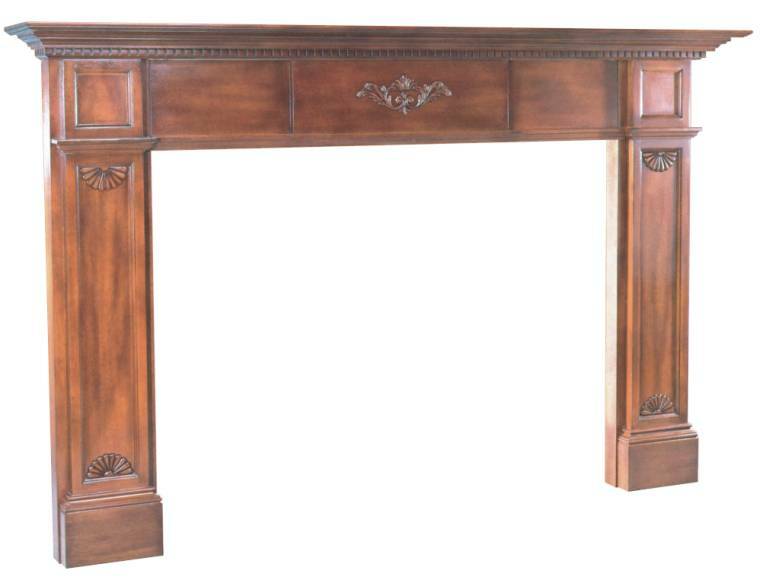 This mantel introduces a new design that is sure to bring timeless beauty and grace to your home. Every fireplace mantel is conceived in the design studio to be the focal point of your room, an impression that will last a lifetime for family and friends. This fireplace mantel will enhance any decor in your home, and is hand crafted and carved from solid Choi wood which is a beautiful Asian hardwood. Choi is similar to American White Oak, it is light colored, tight grained, and its character allows for ease of painting or staining in any color. 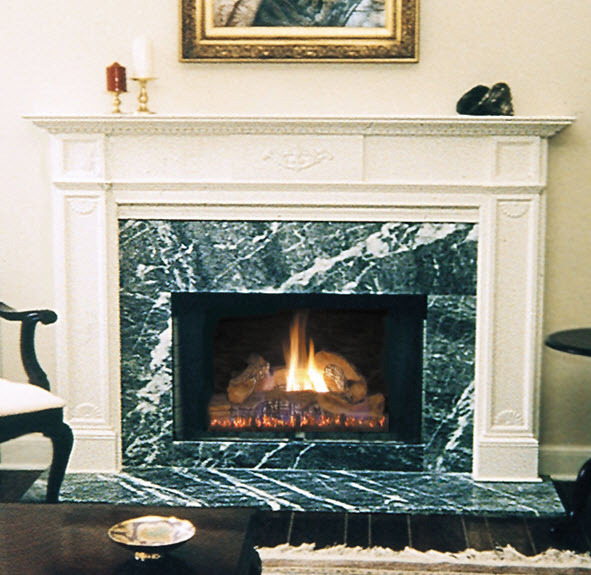 The Jefferson Mantel 50" 56"
Overall Height: 54 1/2" 54 1/2"